Check out some of our new products, lunch bags, brag buttons, cookie tins, and frames. These will make a great addition to your customer product line, and sure to be a hit! Just in time for summer, 10% off personalized mousepads. 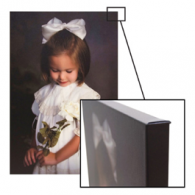 Our Gallery Wrap Print Canvases are made with attention to detail, and quality materials. They are made with a sturdy 1-1/2" frame, and UV coated for durability, finished with tyvek backings, hanger, and perfectly wrapped corners. "When we made the switch to Denny Manufacturing for all of our canvases we couldn't have been happier and we haven't looked back since! 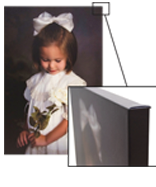 The cost allows us to make single canvases and canvas clusters affordable for our customers. Their templates make it so easy for us to build our canvases exactly to our liking. If there is any type of file error or missed imperfection the staff at Denny never hesitates to take the time to call or email to make sure everything is right! The quality of the product speaks for itself and our clients are always astonished at how breathtaking the color is on their images. Basically, we think you guys rock! Thanks for everything!"